Cross on lid is a simple but dignified design enhanced by a secure hinged opening. 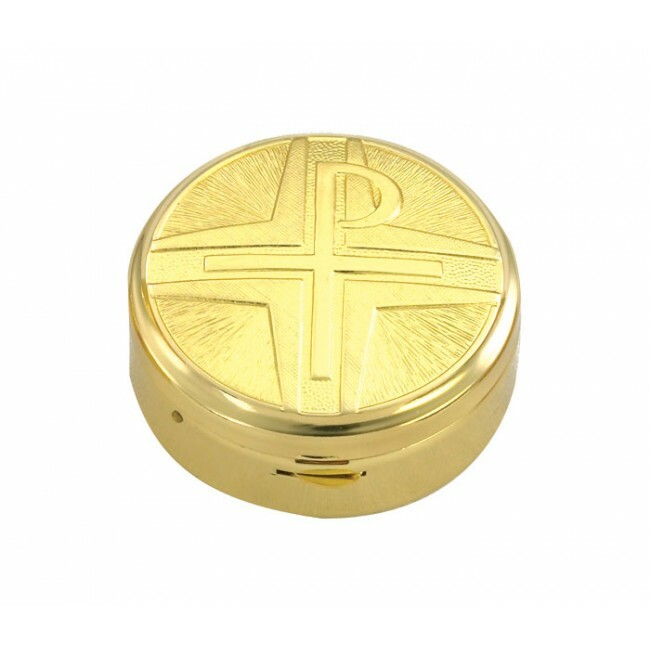 Cross and Chi Rho symbol on lid is a simple but dignified design enhanced by a secure hinged opening. 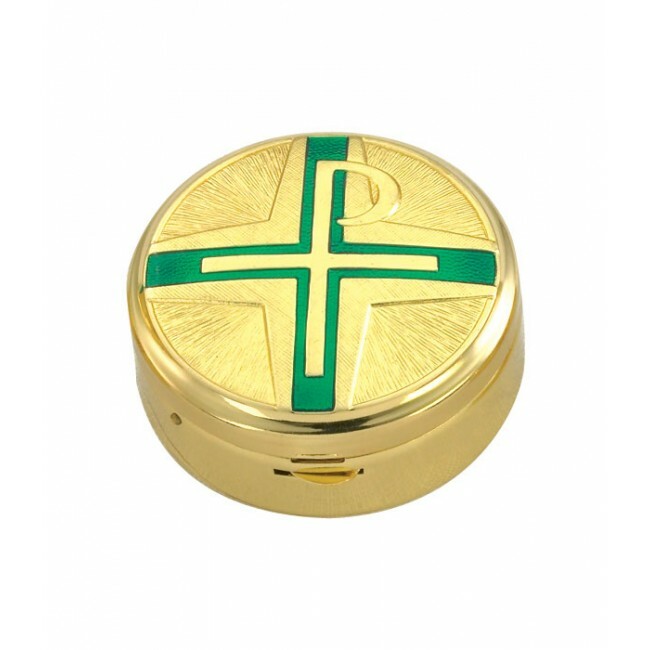 Your choice of Cross in 3 colors: Gold, Green and Red, please specify when ordering. It is a superior gift and very popular as a Memorial Remembrance. Engraving available, maximum 20 letters for $20.00 additional letters, please add $ 1.00 each. 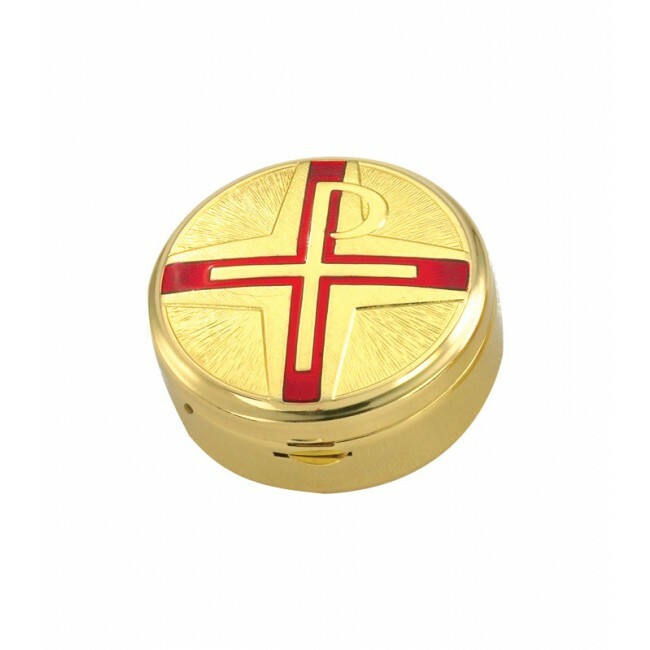 As a container for the Blessed Sacrament, the pyx has developed through five centuries of usage by the Church into a compact, practical vessel which Priests, Deacons, Eucharistic Ministers and Chaplains employ to bring Holy Communion to those unable to attend liturgies in Church.